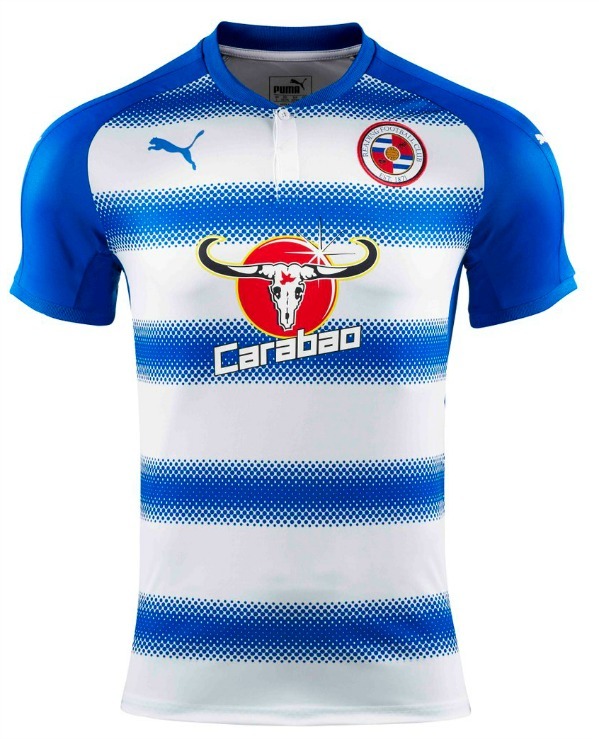 These are the new Reading FC kits 2017/18, Reading’s new home and away tops for the upcoming 17/18 EFL Championship season. 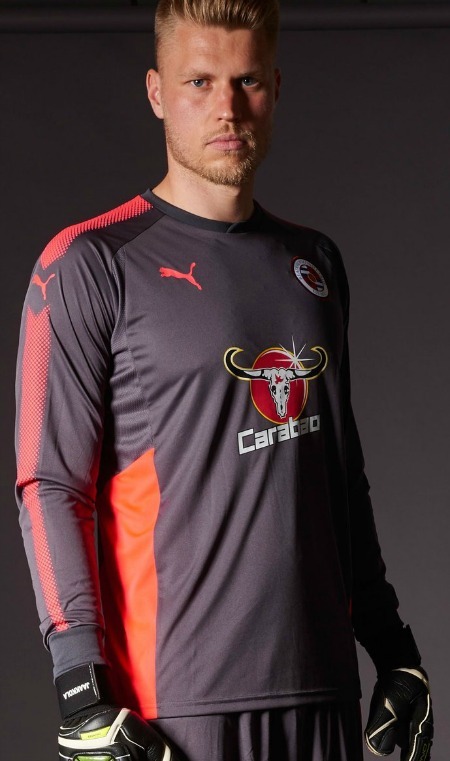 Made by Puma, the new Reading FC shirts were officially unveiled over the weekend using VR. The Royals finished third in the Championship last season behind Newcastle and Brighton. 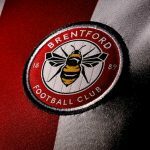 They beat Fulham to set up a playoff against Huddersfield Town, but lost on penalties at Wembley to miss out on a return to the top flight. 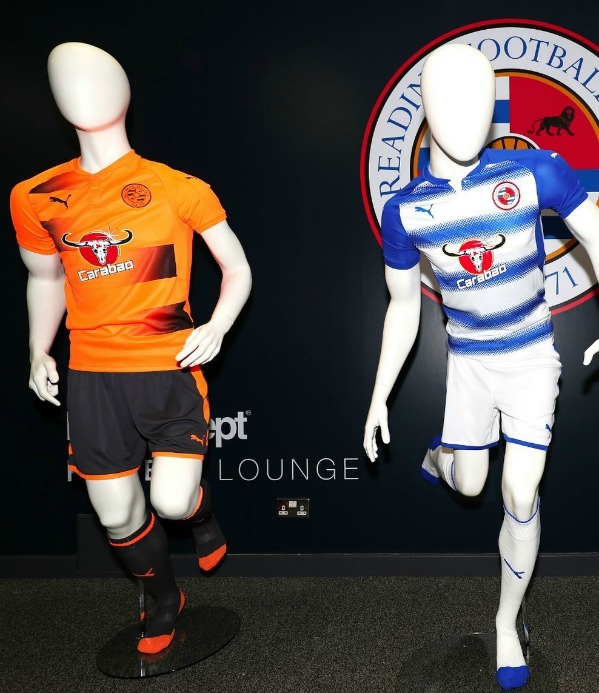 While the home kit uses the club’s traditional blue and white colours, the Royals will be wearing a striking orange and black creation for their games away from the Madjeski Stadium next season. 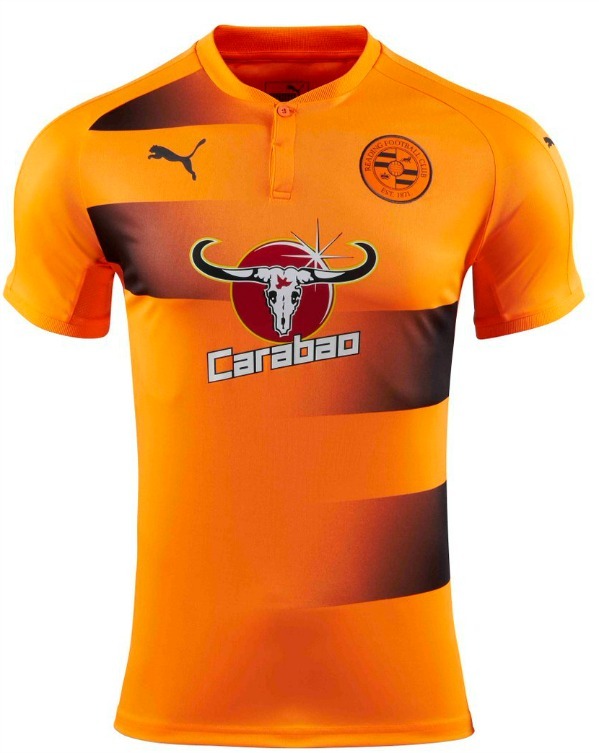 South-East Asian energy drink brand Carabao appear as principal sponsors on both home and away tops, as can be seen in the pics below. 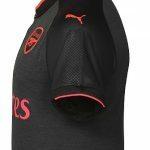 This entry was posted in English Championship and tagged Puma on July 24, 2017 by Football Kit News. 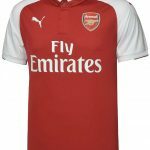 That home kit looks all-white from the back! 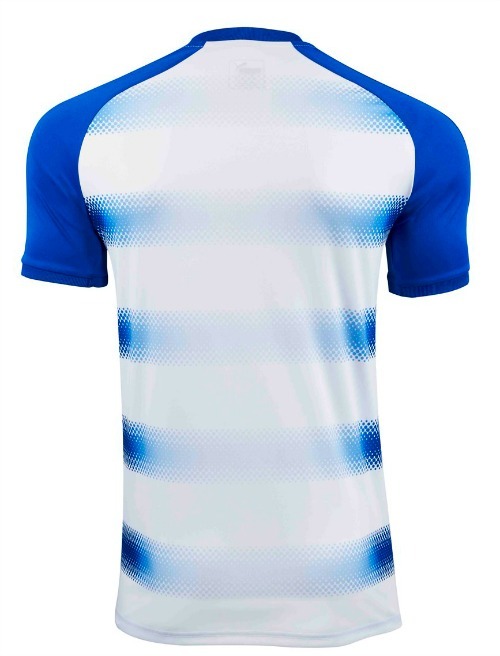 The away is very nice though. 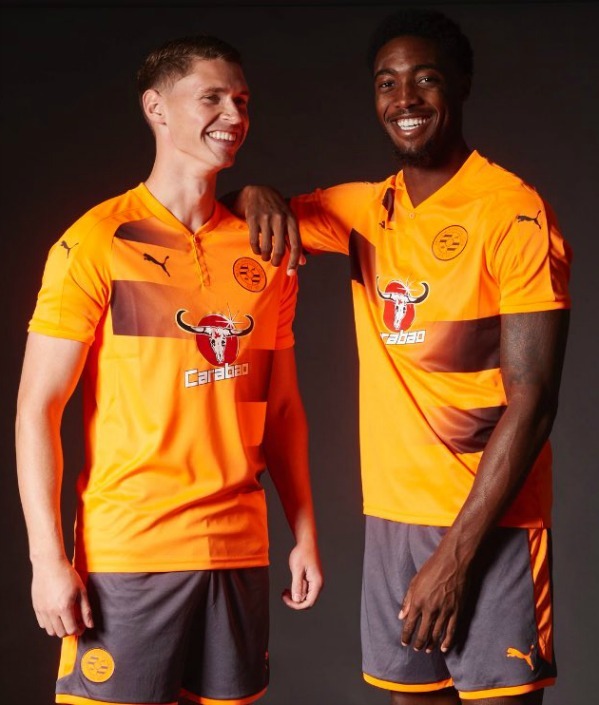 Love the home kit. 2nd kit not bad either.